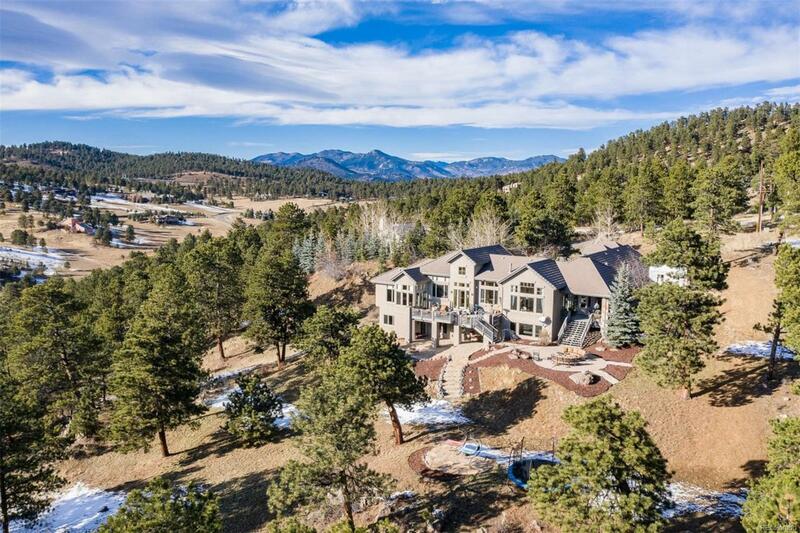 This exceptional Spring Ranch estate built in 2002 on 9.86 prime, private acres adjoins 2,413 acres of green space. 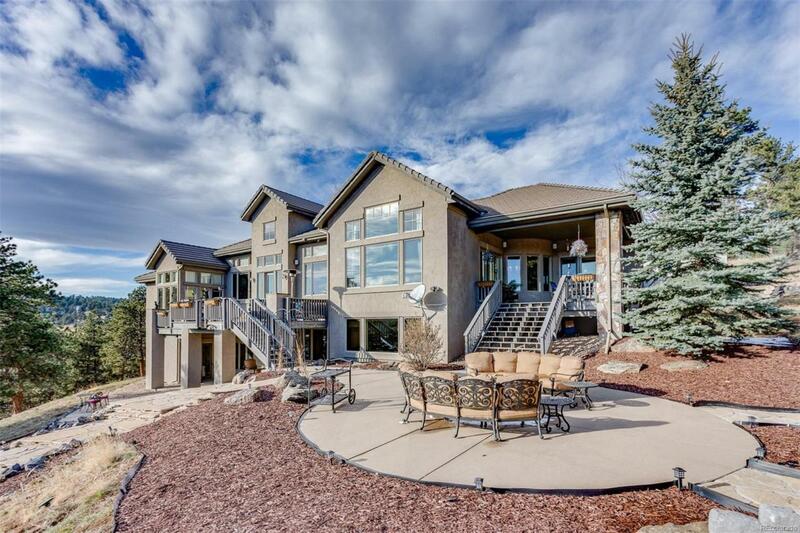 The stunning design artfully nestles this Stucco and Stone 7,222 sf home in the natural setting overlooking breathtaking valley to mountain views, a Colorado dream! Fabulous updates throughout include the newest in "Smart Home technology. 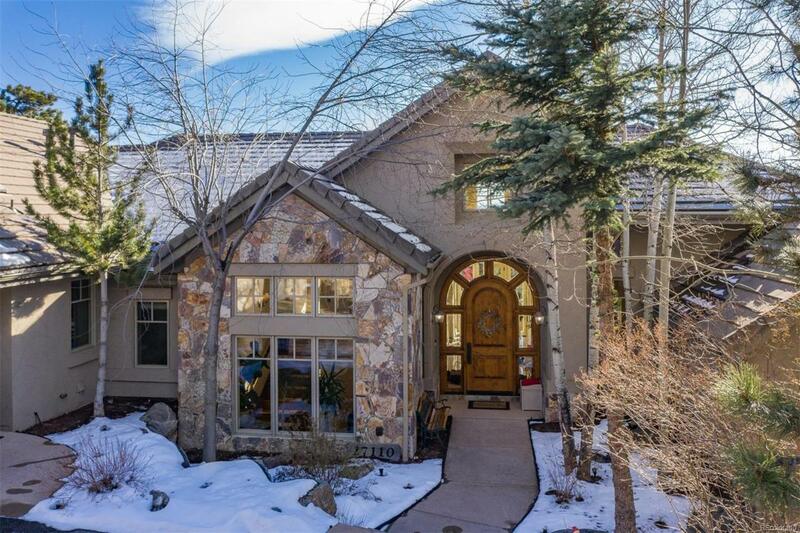 A fabulous chefs kitchen includes newer top of the line professional grade appliances, butlerss pantry, baking center, soapstone counter-tops, natural stone flooring is heated. A dramatic two story entry gallery, a fabulous master suite with luxurious spa like en-suite bathroom with steam shower, jetted tub and 12' x 15' walk-in closet and private gym. Amazing professional landscaping with flagstone terraces, huge decks, a fire pit and grill allow for comfortable outdoor living. 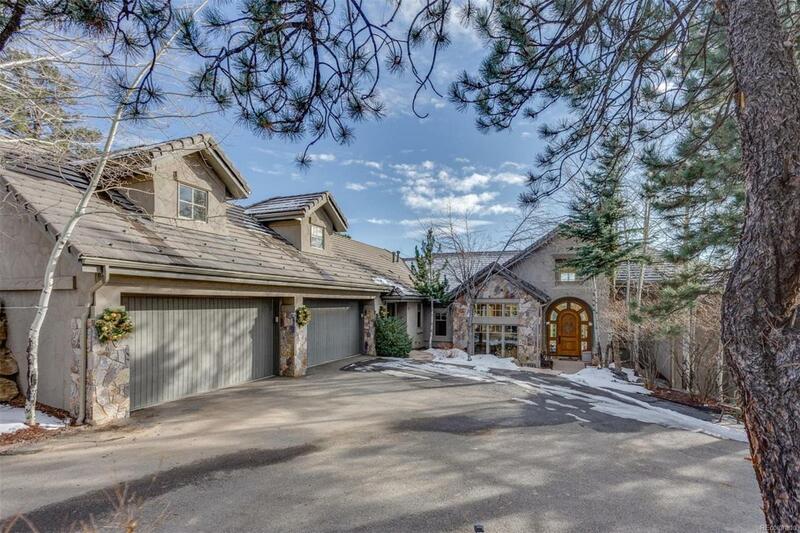 A Circular driveway and heated 4 car garage provide easy access despite the season. Large unfinished space on lower level for storage. Association Name Primary Spring Ranch Property Owners' Association Inc.